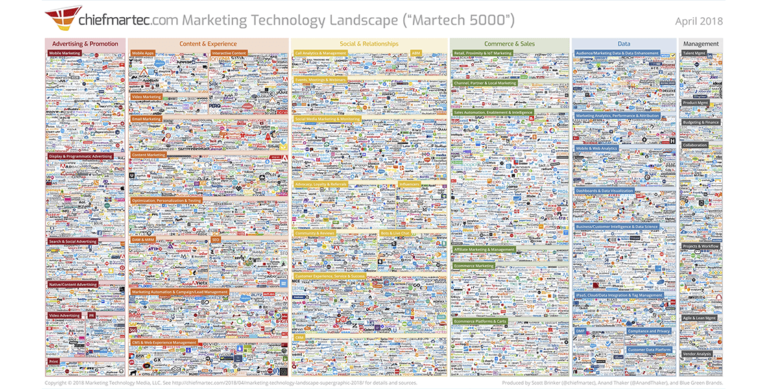 The 2018 Martech “5000”: A Wish Granted? The only plausible explanation for the 2018 Martech “5000” is that Marketers have got some serious karma going on. Okay, maybe not serious karma — used in a colloquial sense, though, this annual Martech graphic reads like the answer to the marketing industry’s pre-digital era prayers. Do any marketers remember the “good old days” when you pined for more data?